Global Ewaste Solutions provides enterprises the most economical ITAD/ITAM programs. Our recycling process follows the strictest environmental standards available. We offer the highest value on old assets, with one of the best re-marketing percentages in the industry. Our services are designed to be customized to fit your needs. Our certified data sanitization services offer companies a secure end of life solution for all IT assets. With Global Ewaste, data security on your retired equipment is guaranteed. As a leader in the secure and sustainable recovery of retired electronics, Global Ewaste continues to uphold socially and environmentally responsible values. We manage the complete lifecycle of your IT assets, offering a full suite of solutions and services to enteprises and end users alike. Our e-waste recycling program offers a cost-effective and secure solution while maintaining the highest environmental standards. We export no hazardous e-waste and follow a no landfill policy on all electronics. 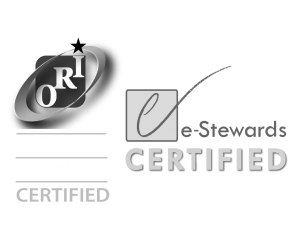 Our e-Stewards certified program ensures no forced, prison, or child labor is employed at any step of the recycling process. We offer a selection of Data Sanitization and Physical Hard Drive Destruction solutions as part of a complete ITAD/ITAM program or as a standalone service. Our certified sanitization solutions guarantee the continued security of your sensitive information. Having over 35 years experience in IT reselling, Global Ewaste specializes in the successful remarketing of your assets. Our extensive customer base, and knowledgeable sales team provide you with the maximum return on your old equipment.